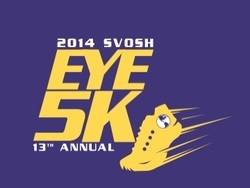 SVOSH Presents the 13th Annual Eye5k, Saturday October 4, 2014! Race starts at 10AM at Southern College of Optometry, located at 1245 Madison Ave. Please check in at the race between 9-9:30 AM that morning to receive your tshirt. Find us and Register at www.racesonline.com. 20.00 per person Early Registration through September 30th. 25.00 per person Late Registration October 1st-4th. The Eye5k is an annual 5k race hosted by SVOSH at Southern College of Optometry, an organization of nearly 150 student-doctors and doctors who travel annually to countries in Central and South America, as well as the Caribbean, to provide underprivileged people with free eye exams and glasses. Proceeds benefit their efforts in covering travel expenses for the trips. Every October. The 13th Annual Eye5k will be held on October 4, 2014.
Who can run the Eye5k? The Eye5k is open to the whole community. 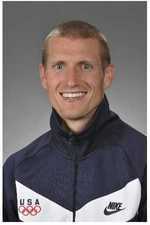 We've had everyone from toddlers in strollers to Olympic athletes. Participants of all ages are welcome to walk or run the race. and runs through the beautiful, historic Central Gardens District. All participants will receive a 2014 Eye5k t-shirt. T-shirts will also be available to purchase by non-runners at the race. The race will be followed by music, food, and refreshments. Medals will be awarded to top three finishes in each age group, and first overall male and female finishers will receive plaques. Participants of all ages are welcome! Three generations of the Newman family have participated, such as Professor Emeritus Dr. Jim Newman, his son, his grandson, and his granddaughter.